All About That Core – Hello, Confidence! Don’t get me wrong. If your core workouts include exercises that target all four of these muscles, that’s great, but that’s only half the battle. 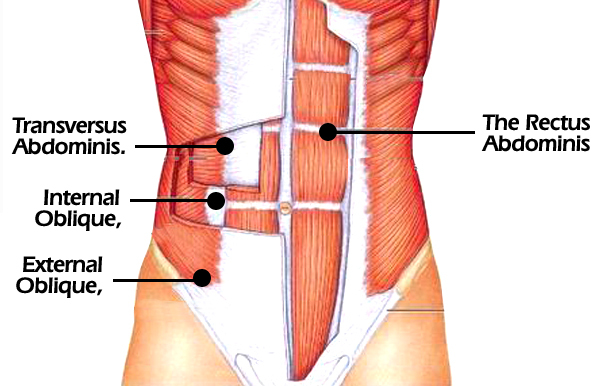 The rectus abdominis, external and internal obliques, and erector spinae make up the outer layer of your core. They are the big muscles responsible for spinal movements like bending forward and back or bending or twisting to the side. However, there is also a group of four deep stabilizing muscles that make up the inner layer of your core. They are the muscles of the pelvic floor, diaphragm, multifidus, and transverse abdominis, also known as the transversus abdominis. 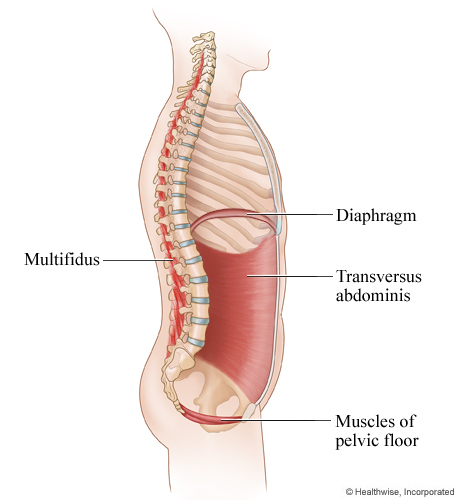 They are mainly small muscles that are responsible for spinal and pelvic stability. 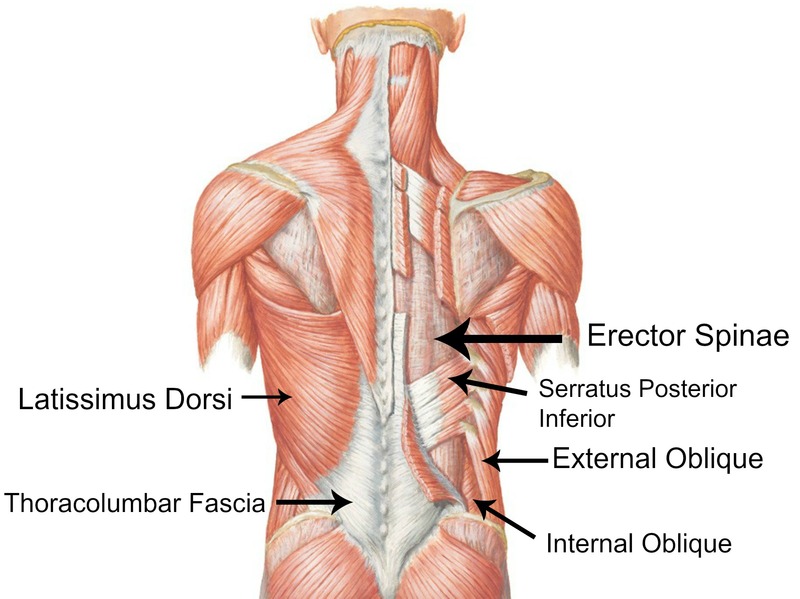 Basically, they are the muscles that help prevent lower back injuries. If your inner core muscles are weak, your outer core muscles try to do all the work moving and controlling your spine. Ideally, you want both muscle groups working in tandem, with your inner core muscles stabilizing your spine and your outer core muscles moving your spine. This requires strength in both. 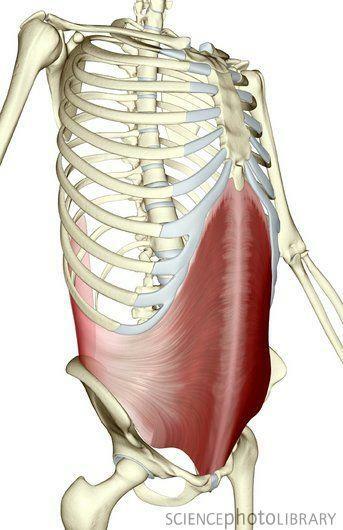 One great place to start is by focusing on the biggest and most powerful of the inner core muscles, the transverse abdominis. It looks almost like a girdle stretching the length of your stomach, wrapping around your sides, and attaching in the back. Following a core workout that includes exercises for both outer and inner core muscles is the best way to not only look and feel more fit, but also keep your lower back injury-free. Incorporating these four exercises into your routine will make a big difference. Not only will you feel more stable, but you will have better posture and a leaner waist. Talk about “all the right core in all the right places”!